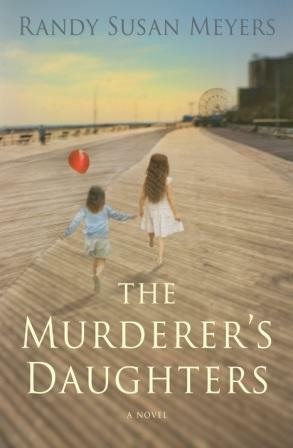 The Murderer's Daughters by Randy Susan Meyers is the tale of two sisters as they go about life dealing with the knowledge that their father murdered their mother. The book spans 30 years of the girls lives as they struggle to make sense of the tragedy, deal with their own individual feelings toward their father, and how their sisterly bond can only go so far. Lulu and Merry's childhood was never ideal, but on the day before Lulu's tenth birthday their father drives them into a nightmare. He's always hungered for the love of the girl's self-obsessed mother. After she throws him out, their troubles turn deadly. Lulu's mother warned her to never let him in, but when he shows up, he's impossible to ignore. He bullies his way past ten-year-old Lulu, who obeys her father's instructions to open the door, then listens in horror as her parents struggle. She runs for help and discovers upon her return that he's murdered her mother, stabbed her sister, and tried to kill himself. For thirty years, the sisters try to make sense of what happened. Their imprisoned father is a specter in both their lives, shadowing every choice they make. Though one spends her life pretending he's dead, while the other feels compelled to help him, both fear that someday their imprisoned father's attempts to win parole may meet success. This book is told by the two sisters, their voices alternating every few chapters. As the sisters grow older, their sisterly bond grows stronger. Each deals with the aftermath of their mother's death and their fathers imprisonment in different ways. The effect their father has on their lives varies but the fact that he still has a connection to them torments and haunts them both. The book is a page turner to the very end, showcasing the power of forgiveness and the power of letting go. Meyers' first novel is incredibly well written and beautifully heartbreaking. I would definitely recommend this book. 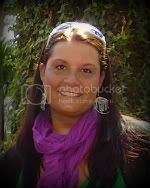 For more information about the author visit her website, facebook, or follow her on twitter.